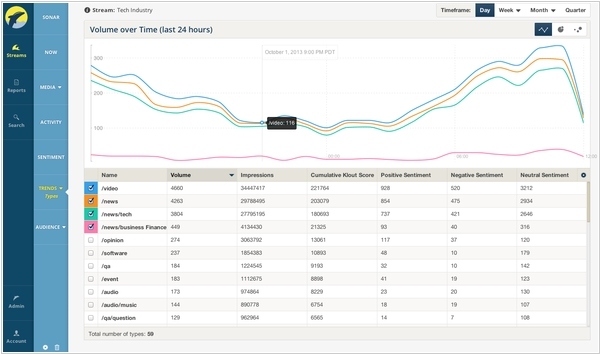 Bottlenose illuminates the Trending Topics, People & Emotions affecting your business right now. Our trend visualization reveals what matters to your business in real-time. It enables you to pinpoint surging trends as they’re happening, without ever needing to know where to look for them. Bottlenose, a big data analytics firm which focus on tracking, filtering and analyzing stream data, has raised $13.4 million in Series B funding. Bottlenose offers large enterprise customers a high-performance, cloud-based solution that’s capable of analyzing massive amounts of real-time data, in order to proactively identify things like emerging risks, threats, crises, opportunities, breaking news, and more. To put its capabilities into perspective, Twitter currently sees around a billion messages a day on its service, while Bottlenose is now analyzing 72 billion data records and messages daily.